The economy in Singapore is quite absolute. Most retailers tend to have good business systems, but there is always a small fraction of restaurants and small shops which may harden your shopping experience. Regardless of where you shop, there are a few practices by the retailer you should be conscious of to avoid losing money but make the most out of it. How people shop in Singapore is way distinct from how other people from other countries shop. Expats with a good perception of the economic condition of Singapore can withstand the harsh retail experience by organizing their finances. For instance, any resident should be well acquainted of the housing taxation and consumption taxation. In Singapore, housing taxation is more economical than consumption taxation. That means that you may need to conserve more money for shopping than housing. Here are some excellent shopping tips to help you get an exceptional retail experience in Singapore. Prices tend to diverge widely from one shop to another since most of the manufacturers don’t give a specific price range and the distributors are primarily not ordered to abide by any products’ Recommended Retail Price—RRP. Additionally, most of the big departmental stores periodically recommend, allocate and display prices of commodities. If you want to acquire something in bulk, it would be wiser to visit a wholesale shop and buy the goods at cut off prices before they get to the ultimate consumer. This way you will have saved money and got fresh products, especially if its food items. Similarly, wholesalers differ in prices, and the difference may range differently based on the town and the number of sales. Always check the price tag on the item. If you have settled on a certain price with the seller, you may want a receipt or invoice of the same before paying for it. Use the receipt info to research about the product and finally try comparing the prices in other shops. In Singapore returning a product to the retailer can be a challenge. In fact, most retailers do not entertain it, but rather impose strict policies for customers who wish to return goods. Such policies include exchange only when the product is still sealed, expired or the wrong option. In such cases, the customer may swap the product with another and give more if it is not of similar quantity or get something of equal value if the current product is cheaper than the first option. It would be wise to ask or do some research on Singapore’s consumer policies before buying a particular product to avoid ugly scenes after paying for a wrong choice. You may also ask your retailer to avail details of their refund or exchange policy in their invoice. Keeping your receipts safely mainly for the goods worth lots of money can save you a great deal especially if the shop is new in town or you’ve never bought products from that shop. Receipts and invoices come in handy when you need a refund or a replacement after you’ve paid for the item regardless of the time frame—where a warranty is granted. Keep a close eye to the written information like the prices and item description and even take a step further to calculate the total amount. Checking such crucial details helps you claim your money back in the event of a product added to your list that you did not request or capture excess amount paid. Ensure that all the declared peripherals, accessories and free offers are included and that the item purchased (if it is a machine) functions properly. Finally, for goods priced according to weight such as vegetables, inquire and confirm the final weight as well as the price and let the attendant quote the purchase in writing before payments are made. That will prevent and reduce chances of misunderstanding or miscommunications that may call for more massive bills than you had opted. Global warranties aren’t standardized. That is why you need to review, ask, and confirm to make sure that your warranty is legally valid in Singapore. The warranty and the invoice or receipt should bear the retailer’s signature, stamp, and your name sometimes your phone number for records. Another noteworthy point to pay attention to is the serial number primarily for electronic gadgets or equipment. 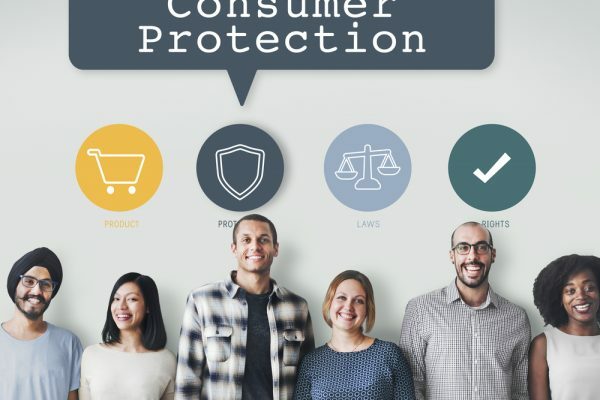 If you buy from uninsured or private seller, you may have fewer coverages under the consumer law. It is imperative to keep a record of all the documents after purchase in case you may need to go back for compensation or exchange. Such documents like the warranty card, the receipt or invoice and the product user manuals and all the purchasing information grant you free repair, replacement or even a refund. Writing and keeping explicit information like the date of purchase, the retailer’s name and services, the cost price, and the buying price, how many months you need to pay for the item if it was bought on hire purchase, and the means of payments used. Although the retailer always provides such vital information, it’s essential to keep your own record just in case the attendants forgot or omitted some significant information like the date. 8 Premium Services Available Only to the Wealthy− What is a 2 Million USD Dinner?